Just got this today. The first thing I thought when I saw it was WOW. I did not expect it to be such a beauty. No pictures do this watch a justice. 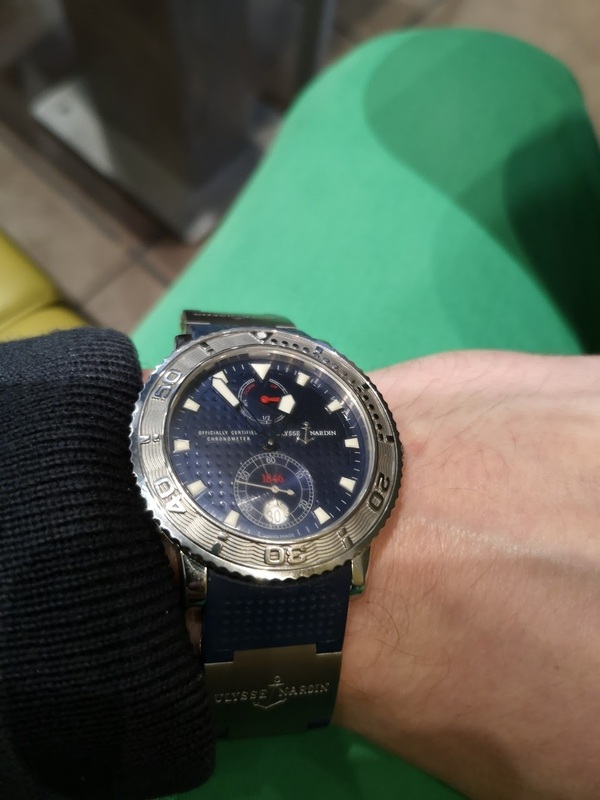 Before I got it I was a bit afraid that it might be little over the top with so much going on the watch like golf ball dial, wave pattern on the bazel red seconds hand, darker small seconds dial. Now all my doubts are resolved. The watch is just perfect. The size, height, the bazel and this beautiful dial which I can not take my eyes off make it a perfect watch. I had second thoughts whether to trade my UN Blue Wave for it but now I know I made a right choice. One thing I would change is hands. I would put silver ones to be more visible. This older UN models have something special about them. Now I only need to get a leather strap and a buckle for it.